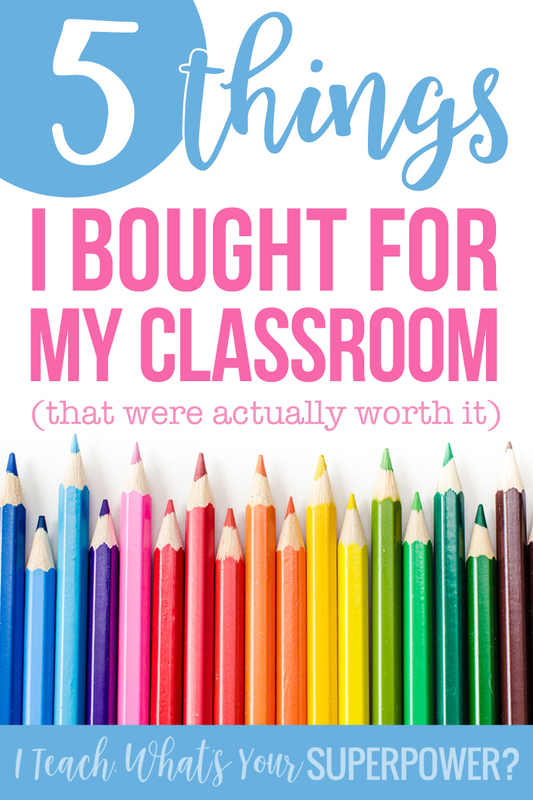 5 Things I Bought for My Classroom (that were actually worth it) | I Teach. What's Your Superpower? I've spent a lot of money on my classroom over the years. Some things were worth it, others . . . not so much. When I moved back into the classroom this year, it was like starting over in many ways. 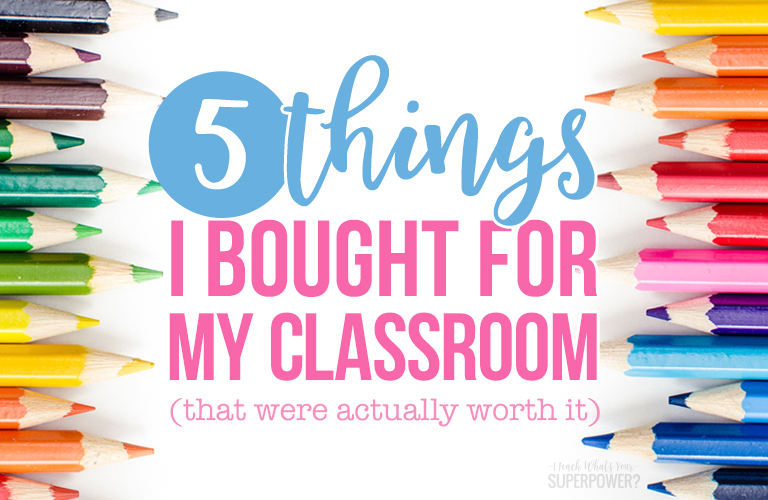 Here are the 5 things I purchased for my classroom that have been worth every penny. This TimeTimer is pretty much the best thing EVER. If I could only have one thing on this list, it would be this item. This is the 12 inch classroom size. I originally got one to keep students on task. 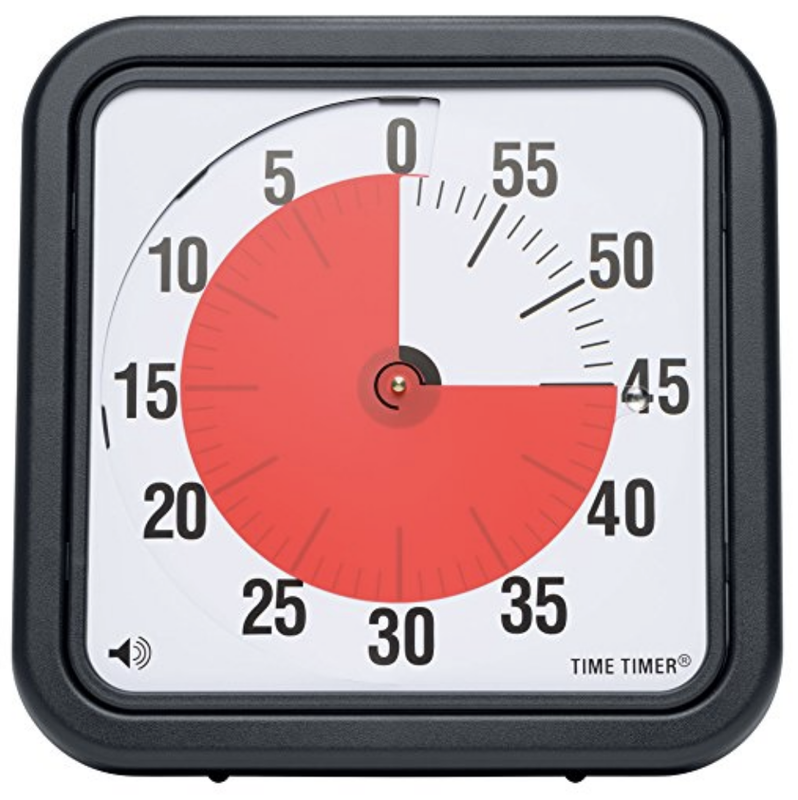 Kids don't always have the best concept of time, so telling them they have ten minutes left may not mean a whole lot. With the TimeTimer, they can see the time fading away. I find the visual representation makes a huge difference in their understanding. I tend to lose track of time during small groups, so this makes it easy for me to stay on track, too. My bookshelves turned into a little bit of a drama. A few classrooms ago, my husband built bookshelves for me. That was my plan for this time until reality set in. I took over this classroom from another teacher and started very quickly. There just wasn't a ton of time to actually build bookshelves. I found some inexpensive shelves at Walmart but they didn't fit the eight million baskets I had already bought for books. 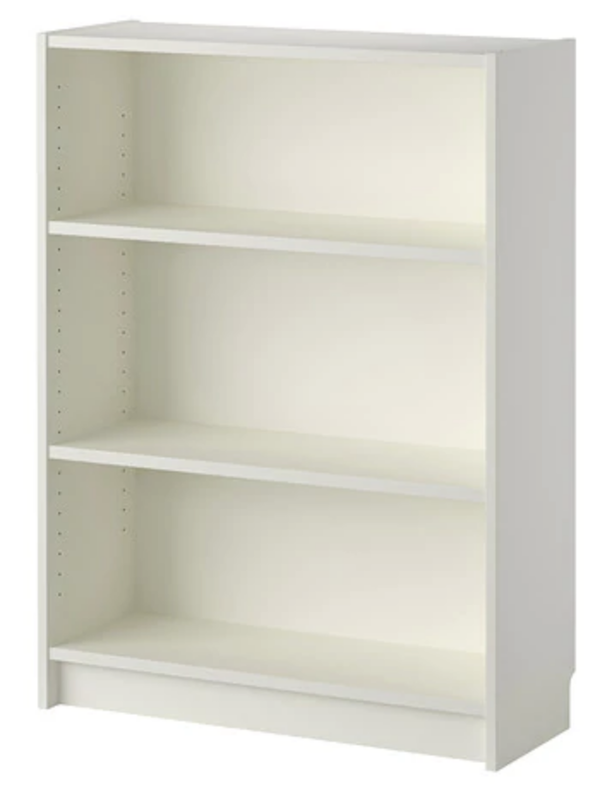 I ended up buying Billy bookshelves from Ikea. They were more expensive, but they're bigger and sturdier. It was more money than I wanted to spend, but I'm happy with how it all turned out. For real. How have I survived for so long without a megaphone? It is saving my voice in the cafeteria (really big school=tons of kids in the cafeteria=no one could hear me), at car rider duty, and recess duty. It has been nice to be able to communicate without screaming in loud situations. There's just no way to be heard over 200+ kids in the cafeteria without yelling. I hate yelling. Even though it would only be to be heard over a lot of voices, I still hate what yelling means to kids. This solves that problem. 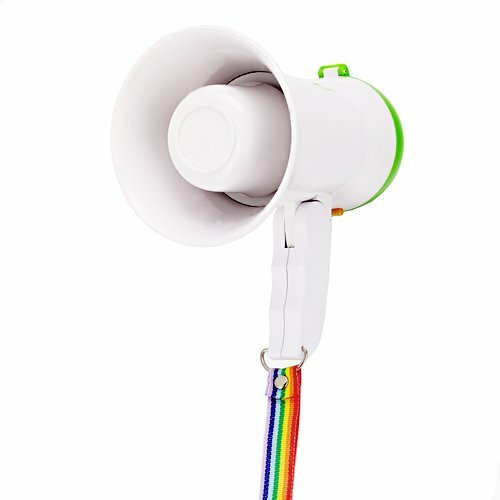 And it's a friendly megaphone because it has a rainbow strap. At least, that's what I tell myself. I bought a ton of white baskets from Dollar Tree and Walmart. Yes, you can spend a lot more and get sturdier ones. Since they mostly stay on the shelf, they don't have much opportunity to get torn up. The top baskets are from Walmart and fit chapter books perfectly. You can get a set of 16 for about $7. The bottom ones are from Dollar Tree. You can order them online, but they come in mixed colors. I stalk Dollar Tree at back to school time to stock up on the white ones. Tip #1: Organize your books well-kids won't need to dig around as much. 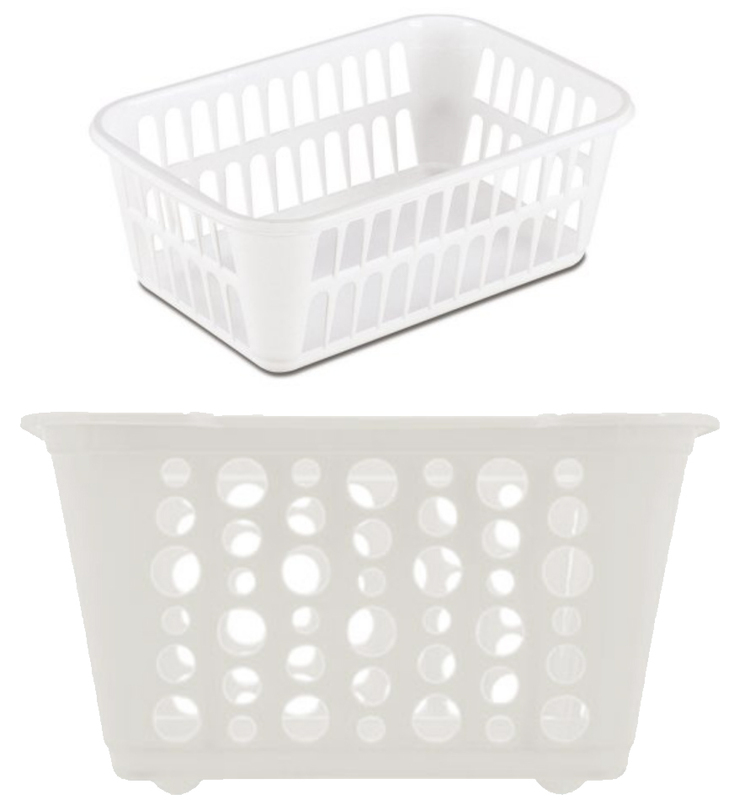 Tip #2: Don't overstuff your baskets. This keeps them from breaking but also, kids won't need to pull them out as often to see what's in there. I quit using a desk years ago, and found all I really needed was a pencil cup and an organizer. These keep everything organized and at my fingertips without taking up a ton of space. 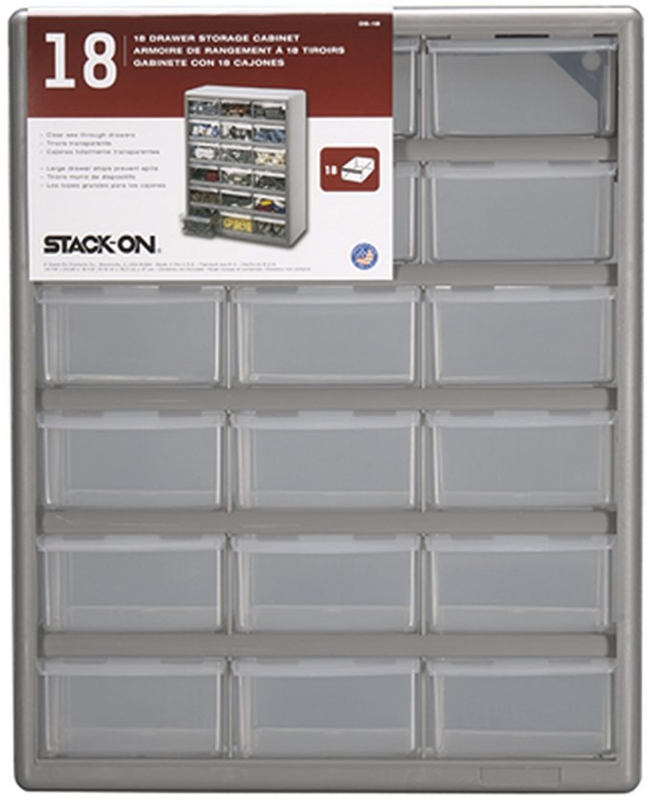 I purchased the 18 drawer organizer, but they come in different configurations. Bonus? It's easy for kids to see what they need when we run out of staples, or they need a band-aid, Sharpie, whatever. Home Depot used to carry them in store, but I wasn't able to find one in the store this time and had to order from Amazon. 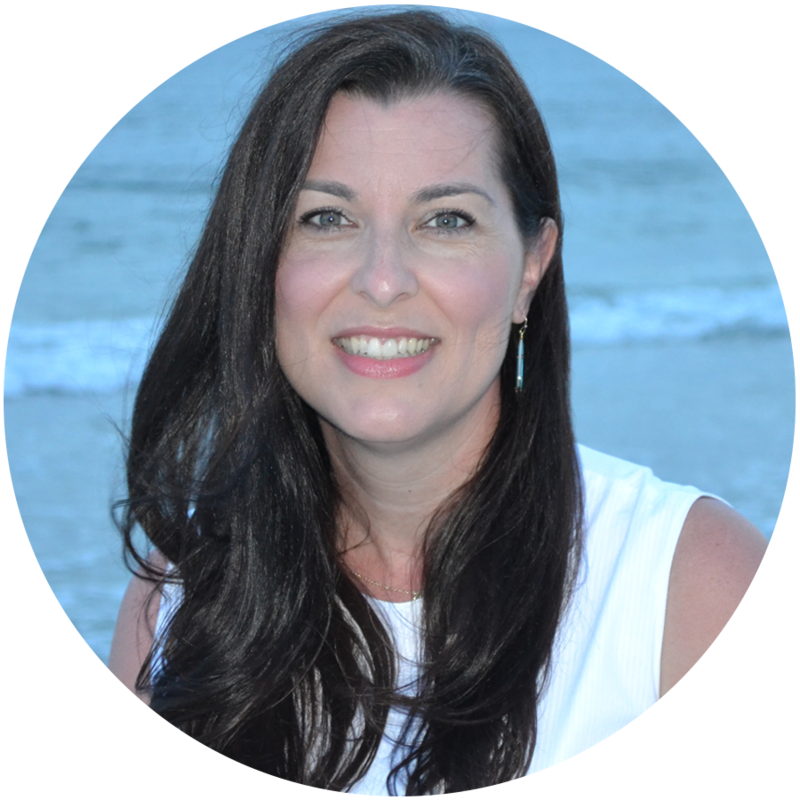 Want a quick tour of my classroom? Watch this video from Instagram for a peek at all of these things in action!